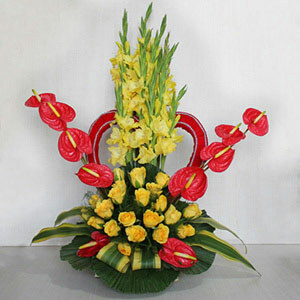 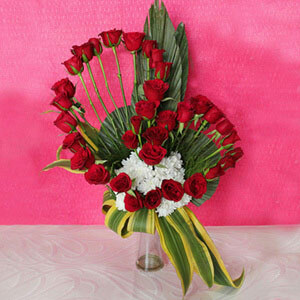 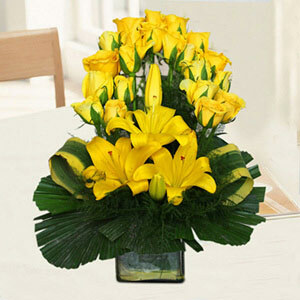 Make love confessions on this Valentine’s Day to your dearest sweetheart with this attractive flower combo. 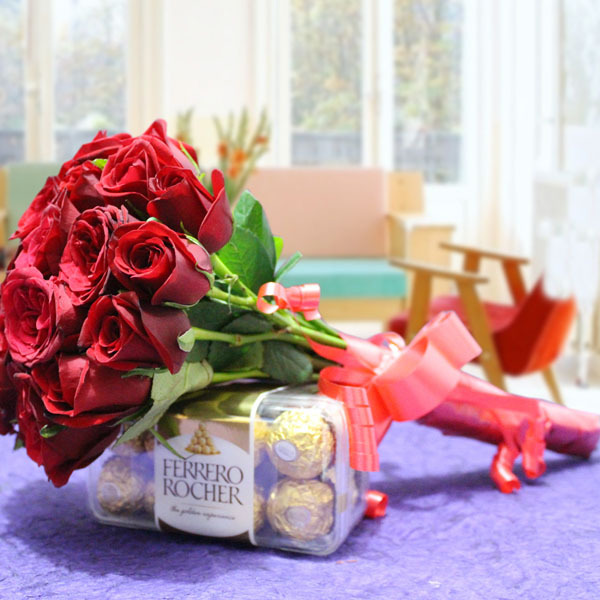 It comprises of a lovely 15 Red Roses bunch tied with colored ribbon with a pack of delightful 16 pieces Fererro Rocher chocolates of 200gm. 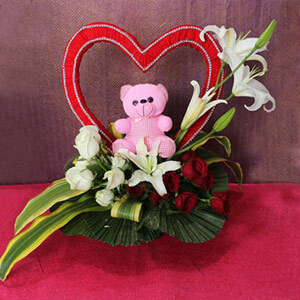 It’s an awesome gift for the special one.